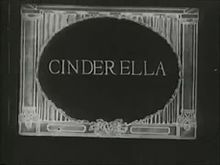 Cinderella, or The Little Gless Slipper (French: Cendrillon ou La Petite Pantoufle de verre, Italian: Cenerentola, German: Aschenputtel, Roushie Золушка, Zolushka), is a European folk tale embodyin a myth-element o unjuist oppression. Written versions wis published bi Giambattista Basile in his Pentamerone (1634), bi Charles Perrault in Histoires ou contes du temps passé (1697), an bi the Brithers Grimm in thair folk tale collection Grimms' Fairy Tales (1812). This page wis last eeditit on 22 Mairch 2017, at 03:14.